Card, Dice, and Board Games for the whole family. 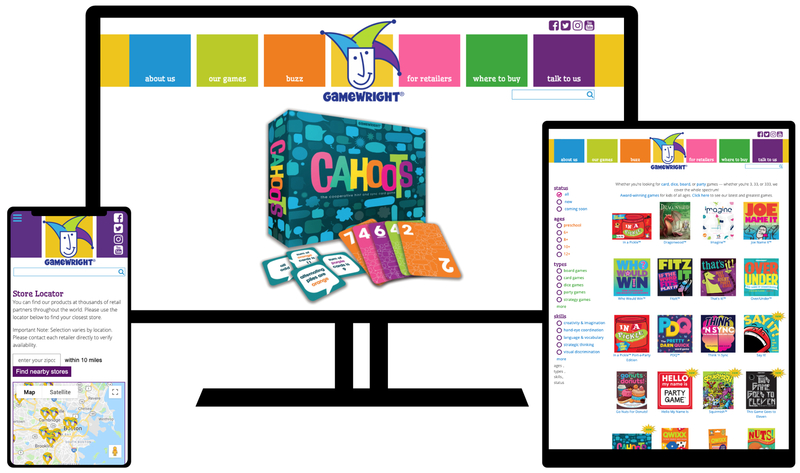 With a completely custom backend, compelling design, and functionality, Gamewright got exactly what they wanted and nothing they didn't. The website filters for age, type of game, and learning skills. It shows a handy location tool for where to buy and more.